A day ahead of Prime Minister Narendra Modi’s visit to Jammu and Kashmir, hundreds of people participated in a march in Kargil district of Ladakh to demand the opening of Kargil-Skardu route. It is reported that around 12,000 to 15,000 families remained divided due to the closure of the route connecting Kargil with Skardu. These families got divided due to the formation of the ceasefire line in 1948 which later became the Line of Control (LoC). 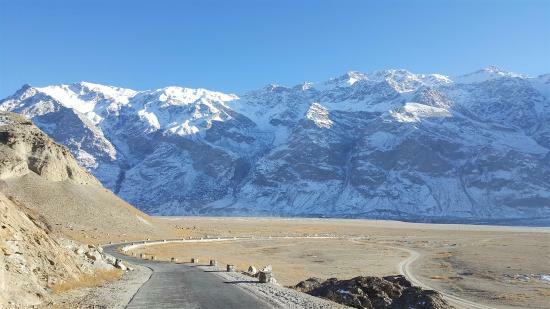 He appealed to the government of India to open both Kargil-Skardu and Turtuk-Khapualo roads on humanitarian grounds. He referred to the Parliament resolution of 1994 which said the whole of Jammu and Kashmir, including Gilgit-Baltistan, was an integral part of India. The people in Ladakah say that these families were divided in a night in 1947 and again in 1971, more villages like Hundermo, Budgam, Tyakshi and Cholunkha came under Indian control and more families got divided. Need of the hour is that Government of India must take up the issue with Pakistan so as to address this humanitarian issue. Reopening the old traditional routes shall not only facilitate meeting of the divided families but will also create a conducive atmosphere strengthening the people to people contact across the LoC.